There is so much that a home automation system from Jackson Hole AV can do for you, your home, and your family. At Jackson Hole AV, we believe that true peace of mind lies in simplicity, and with a home automation system, true simplicity of living can be achieved. Investing in one of our systems is an investment in your time management, quality of life, and ultimately, your safety. Home automation systems from Jackson Hole AV enables you to seamlessly integrate all of your technology into one simple and easy-to-use platform, giving you more control and simplicity in your jam packed life. Control lighting, air conditioning units, and shade controls with a touch of a button to help keep the temperature of your house well-regulated and looking fantastic. Audio and video systems can be turned on, off, or adjusted by smartphone or tablet. Even when you’re on vacation, you can adjust systems and monitor your home via CCTV camera- giving you ultimate peace of mind. 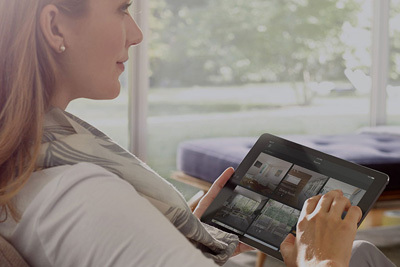 What makes Jackson Hole AV home automation systems truly exceptional is that you can start small; you can slowly work your way up until your whole home is fully automated. Our highly trained team of technicians will install systems onto your home so that they are out of the way while remaining easy to use. Unleash the full potential of your home with a home automation system from Jackson Hole AV and give your family the gift of a home that really helps you unwind! Call us today at (307) 733-2629 for a free, no obligation, in-home consultation.